I am mostly up in my VMWare 5 environment now and started reading about CPU Ready and just getting a feel for the performance monitors. Can anyone recommend a tool or way to maybe get weekly reports on how the VMs are running rather than having to go into each of 50 VMs and look at the performance tab for each? 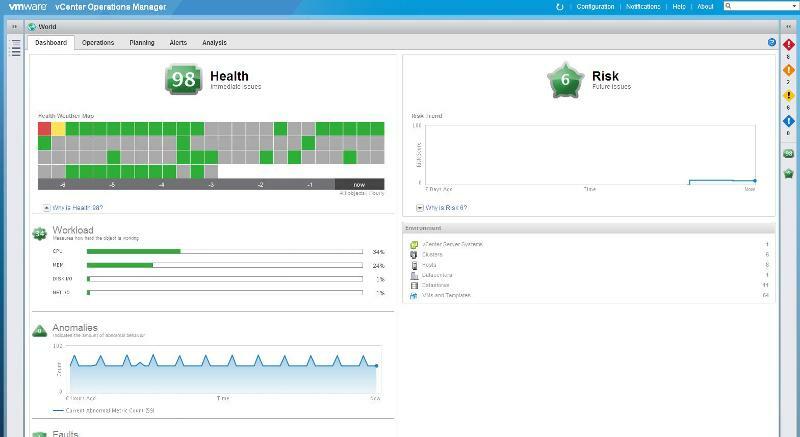 Is vCenter Operations Manager a seperate software purchase? Yes, it is a separate purchase which integrates with vCenter Server, starts off at $50 a VM, for 25 VMs bundles. (version 2.0), or version 5.0 is excellent, much better thn v1.